Boooooooom! 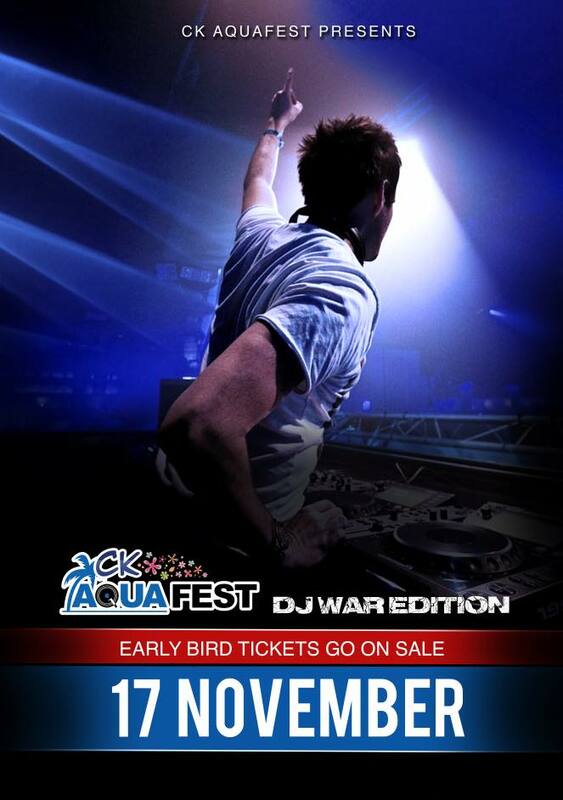 The news you all have been waiting for, the date for CK Aquafest 2016 (DJ Wars Edition). For the first time ever, 24 DJ's and live acts will be going to war with a head 2 head battle on the main stage. This is going to be massive. Early bird tickets go on sale on 17 November. A Deal just as good as BLACK FRIDAY! Ibiza Hour @ CK Aquafest! Ck Aquafest presents the Wet T-Shirt Challenge!